Call 863-968-6902 to schedule your first appointment. If you feel as though you've been missing out on conversations lately, hearing loss could be to blame. 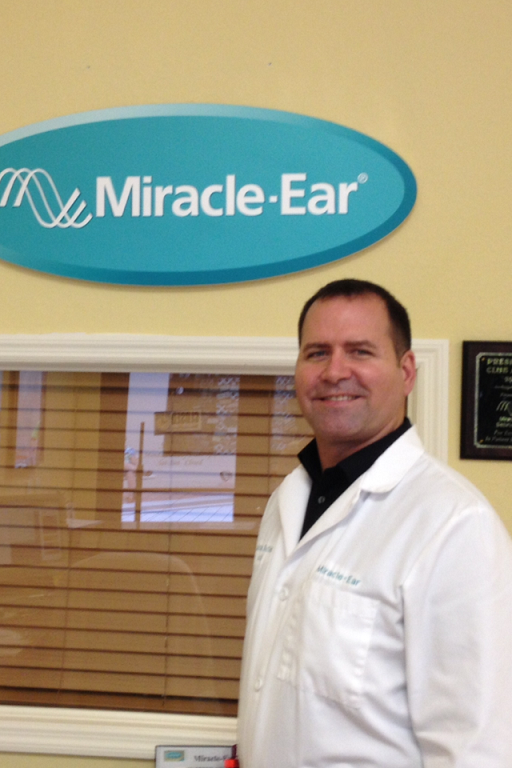 Miracle-Ear® is your local resource for hearing aids in Sebring, FL. Our center is equipped to assess your hearing and fit you with a hearing aid that could help you reconnect with friends and family. The results of your hearing test will allow us to determine which type of hearing aid would provide the best performance. One of our well-trained Hearing Care Specialists will administer a free hearing test* when you visit our center. Many technical advances have allowed us to create hearing aids that deliver High-Definition Digital Sound. GENIUS™ Technology coordinates audio signals from multiple receivers in order to reduce background noise and amplify speaking voices. This hearing solution will enable you to participate in conversations even when you're in a noisy place like a restaurant. You'll also have access to features that will let you integrate your hearing aid with your television or smartphone. As our customer, you'll have us to support you when you need audio settings adjusted or batteries replaced. Our goal will always be to improve your listening experience. We'll respond to feedback during your checkups and help you get the most from your hearing aid. We'll be able to answer your questions when you visit our hearing center in Sebring. After we select a hearing aid for you to try, you'll get a 30-day risk-free trial** period to test it in real-world conditions. To discover and experience the Miracle-Ear® advantage, call us to make an appointment today. Come in and meet Nationally Board Certified Hearing Aid Specialist Lucas Butler. Lucas Butler is a factory trained Hearing Aid Specialist that has been with Miracle-Ear for over 3 years. He is a two-time winner of the prestigious "President's Club Award" for excellence in patient satisfaction and has helped hundreds of people hear better. Hearing experience with friends in crowded places, TV, like to be able to hear what's going on. Hearing in home with no loud talking. Courteous and professional staff. Always ready to answer questions. An overall great experience. Hearing aids are working well and I am hearing many things have not heard for a long time. Ivy is a very special person - always very helpful. Honest presentation of information and opinion, advice, trial weekend, without pressure to upgrade, personable interaction with me. Very inviting/engaging professionality of Ivy the office assistant. Thanks. Explanation and everything being done. The communication with representatives and good personal interaction. Great - Thanks to Josh for going the extra mile. Ivy is a great first impression for your business. Great customer service - always leave with a big smile. They helped me hear better. This was the very best -- could not ask for more. Always the friendliness of Ivy and Josh. Josh always shares update tech and new information that could be important to me. 5 stars!! All of it was great -- they took good care of my needs. I can hear now. That's good. A customer is welcomed immediately with a smile. Josh found my ears reversed. When I left, would think I never had a hearing problem. When I came in I had to ask for the right ear turned up. Josh is my doctor. Josh is very professional. Both doctor and reception are very friendly. Great experience. Good dialog with good information. Good visit. Excellent! Give Miracle Ear a raise!! Being able to hear clearly! It's wonderful. Getting good service and friendly. Helped with my tinnitus and cleared up my hearing. Being able to hear and not aggravate my wife who used to have to yell at me. A harmonious outcome for both of us. Friendly, knew what he was doing and I understood what he was doing. Euie and Kelly Ann are two of the very best people I have ever met. I never thought I would be able to enjoy music again, and they both helped me to find hearing aids that I could afford. My wife and I could never thank them enough. My Miracle-Ear Hearing Aids changed my life. They saved our marriage. You miss so much without them. You don't have to ask people to repeat themselves constantly. "I would like to express my thanks to Josh Kizavath for assisting me with upgrading my hearing aids to the next level. I cannot believe the difference in my hearing and the adjusting of volume levels on phones (what a difference at work. I no longer have to say to someone on the phone "can you please repeat, or I cannot understand what you are saying") and on the Television. With the new molded tips I do not feel like my ears are stuffy and much better clarity. I appreciated the time and the detail hearing test that was done to make sure that the new hearing aids were a fit for me. I can't thank Josh enough." I can hear better than before. Good job. Everything is right -- I'm very good. Getting my ears cleaned and getting rid of the batteries -- best thing.